In order to survive grocery shopping with young kids, I quickly discovered that a little planning goes a long way. You can read about how I manage my recipes and meal plan here, but in this post I’m going to go over how I put together my grocery list. You might be thinking a grocery list is a simple thing. You just jot down a few things you need on a piece of paper, right? Well, you could, or you could take it to the next level…. dun, dun, dun. If you have been following along, you know that I use my phone to manage my life, like my Palm Pilot from back in the day, but way better! So I use this amazing grocery list app called Our Groceries. It’s free, and it makes putting together a shopping list super quick! It takes a little effort to get this system setup, but you can set it up as you go, and the time it saves in the end makes it totally worth it. Our Groceries has so many great features! 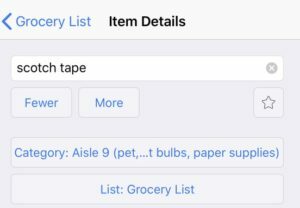 You can have multiple shopping lists (so in addition to your grocery list, you can have a list for Target, Amazon, Home Depot, etc.). 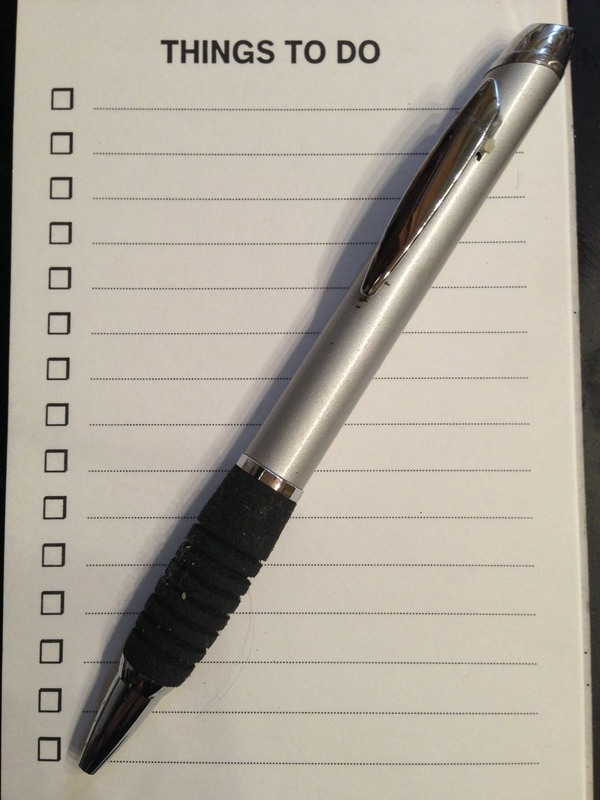 Your lists can be shared with your spouse (or whomever), and they sync real-time. You can even use it to keep track of the ingredients you need for your recipes and to categorize the items on your shopping list. This app is seriously awesome! So let’s break it down. Below the shopping lists is a place to add recipes. To add a recipe, you simply enter the name of your recipe, and then you can click into it to list the ingredients needed for the recipe. What that means is that when you are planning to make that recipe, all you have to do is click on the recipe, and then tap on any of the required ingredients that you need to buy. 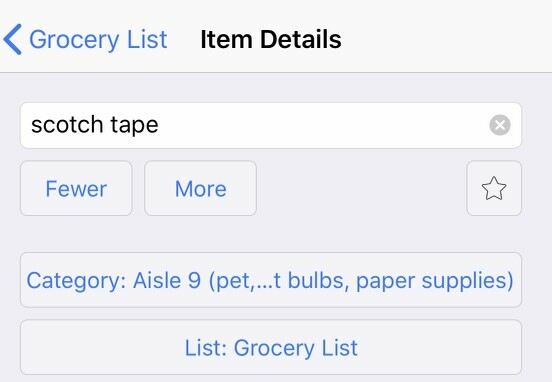 Any items you select will be added to your shopping list (you can pick which of your shopping lists to add it to, and it will remember it for next time). I even created a “recipe” called staples, and it is a list of the items I like to keep on hand at all times. So once I have added what I need for my recipes that week to the shopping list, I do a quick check to see if there are any staple items I need. And people, it gets even better! You can set categories for the items in your shopping list. This helps you be super efficient in the store, which is critical when you are shopping with kids (and nice regardless). It remembers the categories you set for your items, so you will only need to setup the category for new items. I originally used canned/ boxed goods as the category for almost anything on an aisle, and then everything else I used standard categories for such as produce, dairy/ cold goods, frozen food, bakery and meat. This allowed me to start at one end of the store and grab what I needed from each section as I made my way to the other end of the store. Eventually I decided I wanted to switch those canned/boxed goods items to the appropriate aisle number. That was a great improvement because now I only go down the aisles that I need something from. When I switched to categorizing by aisle, I did it partially by memory as I was putting my shopping list for the week together, and partially by categorizing the items as I was shopping. It’s easy to update categories, so even now, if I’m buying something new, and I guess the aisle wrong, I just fix it as I go. This system has made it so that I am not wandering all over the store for hours, and I very rarely forget to buy things we need. If we notice we need more of something during the week, we can just add it to the list. I always have my phone with me, so I always have my shopping list with me too. This app has made shopping so much easier and more efficient for me, and I hope it helps you too! The Practical Home Series: Recipe management and meal planning The Practical Home Series: Easy shoe organization Recipe Roundup: Chili Is there life outside the To Do List? This entry was posted in The Practical Home and tagged apps, groceries, recipes, shopping by Jennifer @ Little Silly Goose.Bookmark the permalink.